Kai and I came up with the Wedding Agency so that soon-to-marry couples can streamline their wedding concept and have a "brand bible" that keeps all the suppliers in tune with their vision. 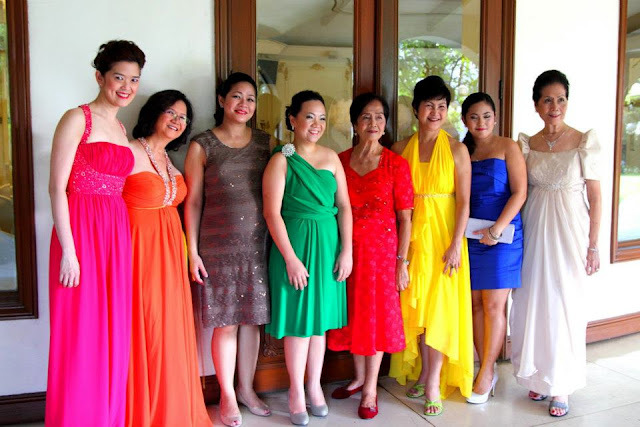 We're happy to share some of the final products from our rebellious clients: Gem & Jay-R.
Gem, being the rebellious bride that she is, opted for a ready-made gown. Something with a flattering silhouette but comfortable enough for some dancing. She finally found this off-white & silver trumpet-style gown in Mitzi Quilendrino-Bustos' Mitzi Q Bridal Pret-a-Porter...perfect for prom night! Then her mom added more sparkle by sewing jewels on her sleeve. 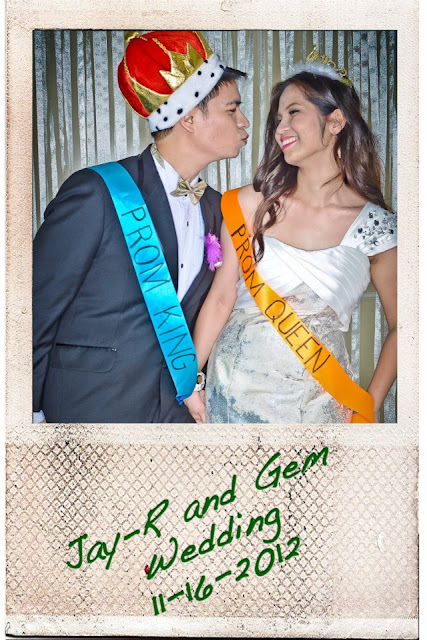 In their invite, Gem & Jay-r asked their friends this: Will you go to prom with us? 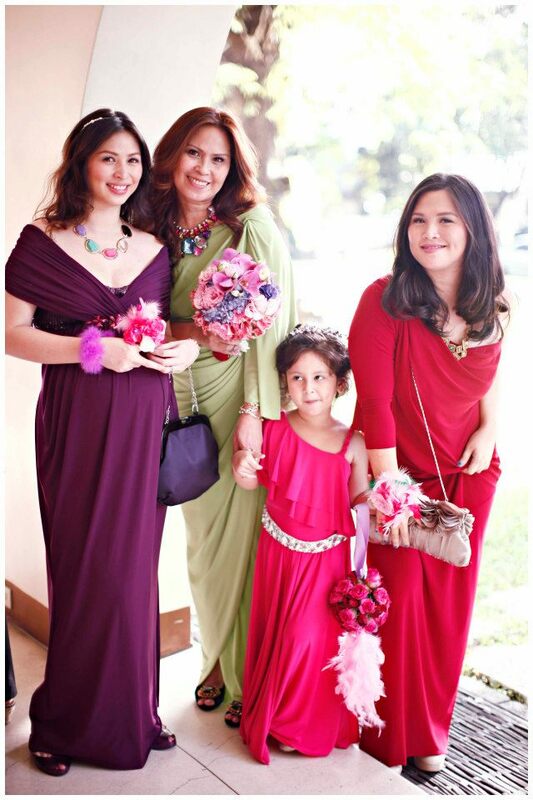 As a result, their entourage & guests came in jewel-toned ensembles and sparkly details. Spotlight on the disco ball! Turning over their crowns for the night's new prom king & queen. DIY souvenirs made by the couple. It was a night of dancing and fun! Sparkling & colorful wedding. neck pieces are beautiful.